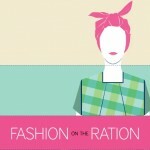 Qwerk have recently been appointed as the main contractor for construction and installation of Fashion on the Ration at Imperial War Museum North. 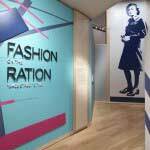 This exhibit had previously been installed by Qwerk at Imperial War Museum Lambeth, Spring 2015. Click here for more information on opening dates and tickets. 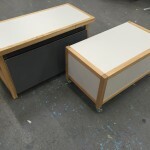 We have been busy over the last few weeks making bespoke furniture for a retail space. These low level units are the first to be produced in a line incorporating oak framing and industrial grey tones. British Museum – Qwerk have been appointed as the main contractor for the construction and installation of Sicily – Culture and Conquest, opening in April 2016. Sicily has a rich and unique culture, especially with regard to the arts, music and architecture. 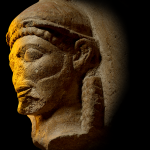 ‘This exhibition tells Sicily’s fascinating stories – from the arrival of the Greeks and their encounters with the Phoenicians and other settlers, to the extraordinary period of enlightenment under Norman rule in the 11th to 13th centuries. Click here for more information and tickets to the exhibit. 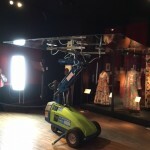 Qwerk were asked to assist with the de-installation of Fabrics of India. Focusing on glazing, we removed all glass with individual sheets measuring up to 3m x 2m. Qwerk will soon commence build in the same space with Botticelli Re-imagined opening in March 2016. Qwerk fitted out a large area at Sony Europe’s HQ in Weybridge, Surrey for their TV Dealer Event in November. 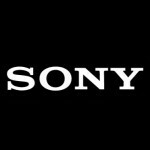 The event was to unveil their latest ranges of TVs and innovations for 2016 to the trade, we will be expanding the temporary exhibition area in February for their UK Dealer event that includes sound and digital camera ranges. 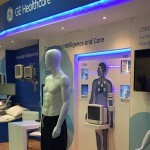 ICS: State of the Art Meeting – Qwerk installed an exhibition stand on behalf of GE to showcase their technological capabilities in critical care. Natural History Museum: Otherworlds – Qwerk are currently installing Otherworlds, opening January 2016. 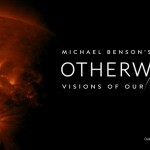 The Natural History Museum have partnered with Michael Benson to showcase a visual history of space over the past 6 decades. V&A: Botticelli Reimagined – Qwerk have been appointed as the main contractor for the construction and installation for Botticelli Reimagined, opening in March 2016. 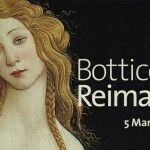 The exhibition focuses on Botticelli’s artwork but also incorporates influences in popular culture. Click here for more information on opening dates and tickets. 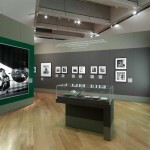 Lee Miller: A Woman’s War – Qwerk recently completed the construction and installation of this exhibition at The Imperial War Museum, open until April 2016. Click here for more information on opening times and tickets.